These muffins were just the thing I needed to kill two birds with one stone. Number one, I had been staring at a mostly-used bag of macadamia nuts since I made the Macadamia Nut, Coconut & White Chocolate Blondies a couple of months ago. Number two (and more importantly), I’ve been craving fresh muffins lately. Growing up, we didn’t eat a lot of muffins (my mom mostly stuck to banana-nut oat bran muffins), but once I was in college and discovered the pallets of banana, blueberry and chocolate muffins from Sam’s Club, it was all over. You mean I could eat a chocolate cupcake, call it a muffin, and it’s an acceptable breakfast? Count me in. 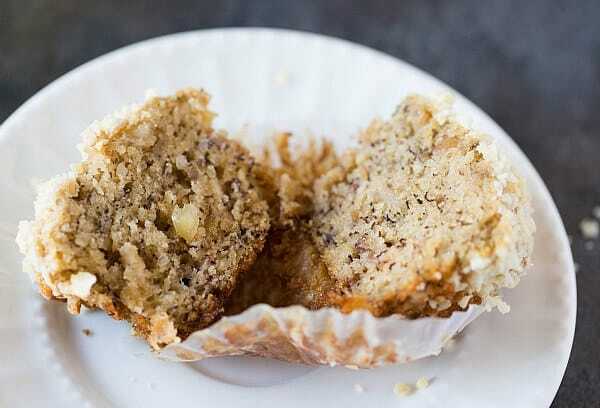 These days, I much prefer making my muffins at home and while I have had a favorite banana muffin for some time, this recipe called out to me as the perfect way to use up those macadamia nuts. I’m so thrilled that I decided to make this recipe even though I already had a perfectly good banana muffin recipe in my archives. While the older recipe has fabulous banana flavor, it definitely is a little sweeter and tastes more like a cupcake (no complaints from me! 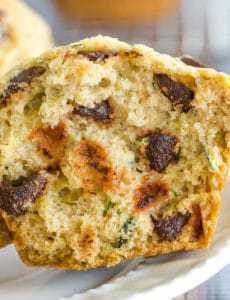 ); this recipe, however, tastes almost exactly like my grandma’s banana-nut bread. 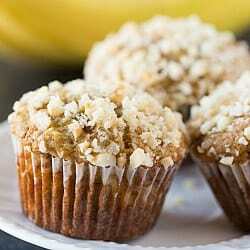 The muffin is moist, fluffy and loaded with nuts, only instead of walnuts, macadamia nuts. 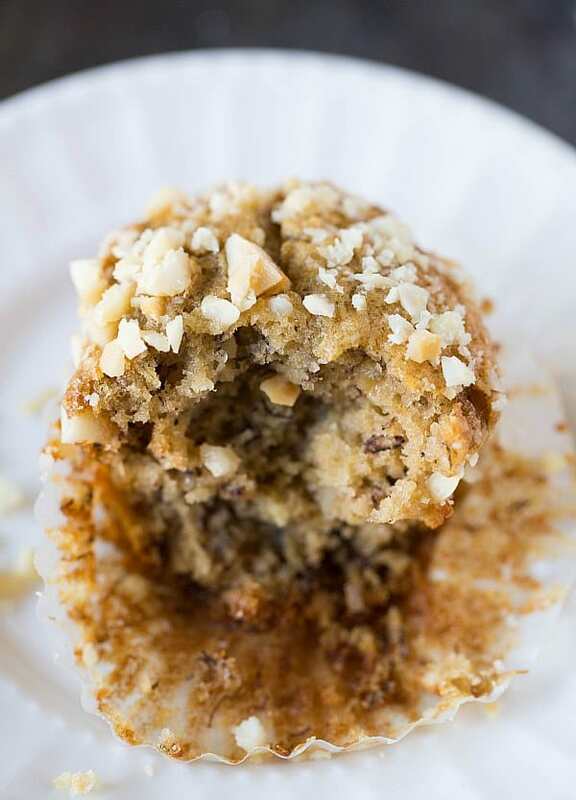 You could use any type of nuts you’d like for these muffins – they’re highly adaptable. I love collecting new muffin recipes; they’re fabulous warm, straight from the oven, and they’re perfect for freezing – just pop in the microwave and you have a warm breakfast! 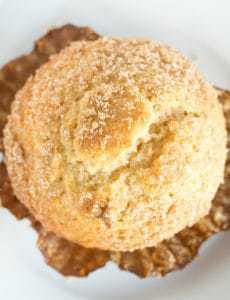 What are some of your favorite types of muffins? 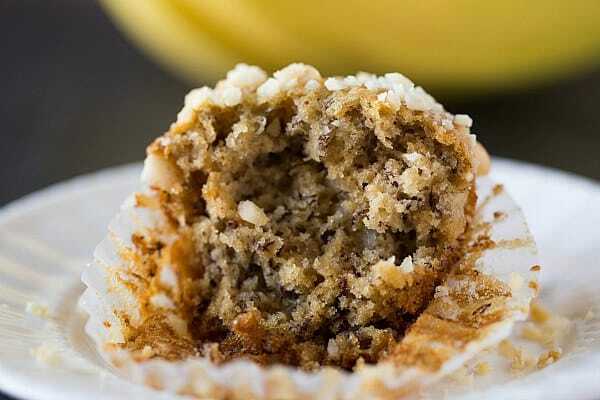 Fabulous banana muffins that taste like banana bread, loaded with macadamia nuts in the batter and on top of the muffins. 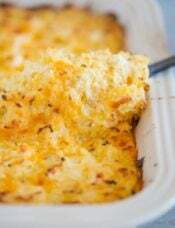 Preheat oven to 350 degrees F. Line a standard-size muffin pan with paper liners or spray with non-stick cooking spray; set aside. Sift together the flour, baking soda, salt and nutmeg into a large bowl. 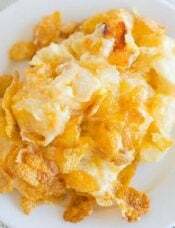 In a separate medium bowl, whisk together the mashed bananas, both sugars, butter, milk and egg. Pour over the dry ingredients and fold to combine. Add half of the chopped macadamia nuts to the batter and fold gently to combine. Divide the batter evenly between the muffin cups. Sprinkle the tops with the remaining chopped macadamia nuts. Bake until golden brown and a thing knife inserted into the center comes out clean, about 25 minutes. Let cool in the muffin pan for about 10 minutes, then remove to a wire rack to cool completely. 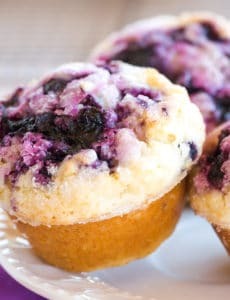 Store muffins at room temperature for up to 3 days. 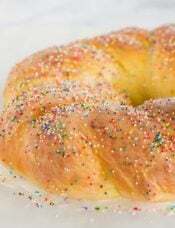 Can you substitute the baking soda with baking powder . Hi Liah, I would not recommend that substitution. 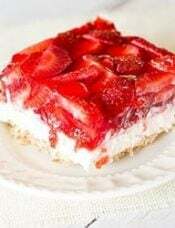 We made these today, I messed up and didn’t melt the butter, but it was gooey soft. They came out so moist. These were sooooo goooood!!! Thanks a bunch. Can anyone tell me what the little black marks are? 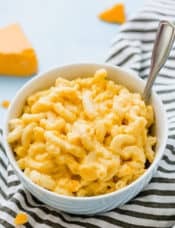 I made this recipe and while they tasted great, i can’t get over the visual of the back squiggles. any ideas? 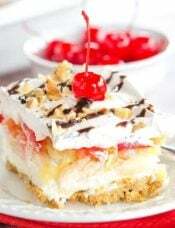 Hi Phylicia, Those are from the banana; you’ll see that in any recipe where you have baked banana. I made these just now with sliced almonds instead of macadamias and I added a 1/2 teaspoon of cinnamon. SO GOOD. 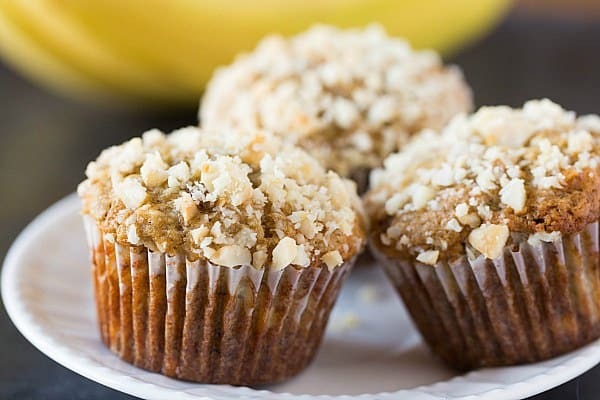 My go-to banana muffins, for sure!